Finding the right foundation isn't easy. With so many options available, it's almost impossible to know where to start. If you narrow down what you're looking for from your foundation, the level of coverage and type of finish you want, it can make finding the perfect base a lot easier. When it comes to makeup, foundation is your base, your true square one. It is used to even out your skin and cover imperfections before you apply blush, bronzer, lipstick or whatever else you're going to wear. Do you need foundation? No. You don't need anything. A lot of people wear a ton of makeup without any foundation at all. Personally, I love foundation and I think everyone should have at least one that they love at their disposal, and if you know what you're looking for, it will be even easier to find one that's perfect for you. There are two main types of foundation: Powder and liquid. Liquids can also be broken down into creams, serums, mousses and sticks, but they still fall into the liquid category. Basically, if it isn't a powder, it can be considered a liquid. Powders are known to give sheer to medium coverage, and are ideal for people with oily skin, as they can absorb oil and regulate shine throughout the day. They have been known to sit nicely on the skin and have give you a very natural finish. A lot of people think powder foundation is harder to spot on the skin than liquids, but that all really depends on application and wear. Liquid foundations have become more and more prevalent in recent years. They are extremely versatile, and emerging technologies continue to turn out more innovative products, so whatever finish or level of coverage you want, there will be an option for you. Liquid foundations can be found with water, oil or silicone bases for different levels of longevity, coverage and finish. Matte: A matte foundation means that the foundation will reflect no light. Matte foundations are good for people with oily skin as they can work to regulate oil and cut shine throughout the day. A matte foundation will not stop the skin's production of oil, but it can help to regulate how shiny your skin is after hours of wear. Demi-matte: A demi-matte foundation will provide a touch of shine but not too much. They're a nice middle-of-the-road option for those who like to experiment with makeup because they can be matted out or highlighted for a more luminosity. They are also ideal for those with combination skin. I find demi-mattes to look the most like your actual skin. Not everyone wants the same level of coverage from their base. 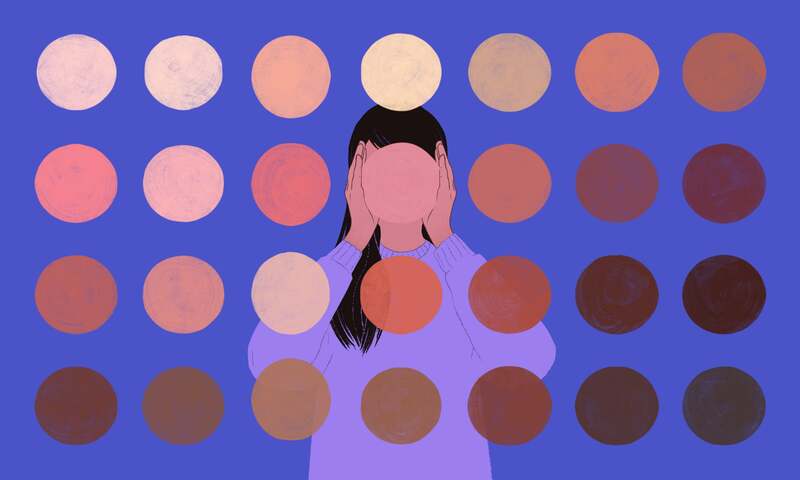 Some want a highly pigmented foundation to cover up everything, some want to cover all imperfections and redness, while others simply want a light layer to help even tone. Sheer: Sheer coverage can come in the form of sheer foundations and skin tints. These are great for days where you just want a touch of colour here and there without going full glam. Skin tints are still a somewhat emerging product category, but the NARS Velvet Matte Skin Tint is perfect for just a touch of pigment with a matte veil. It's great for putting your natural colouring front and centre with just a bit of pigment. 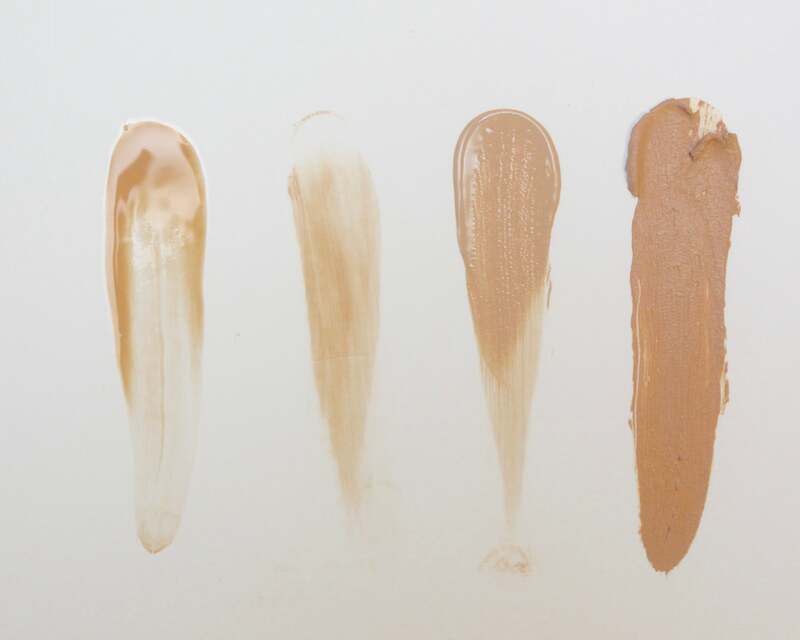 Light: Foundations that offer light coverage are more pigmented than a skin tint, offering coverage where you need it while letting you blend it out in places you don't. These also tend to be less cakey and less noticeable on the skin than other, heavier foundations. Medium: Medium foundations offer enough coverage to even skin tone, cover dark circles and mask small blemishes while still being blendable enough to sheer out and let your skin show through. Medium foundations are the most versatile because you can build your coverage to cover anything you'd like to hide and blend them out in places where you need little to no coverage. 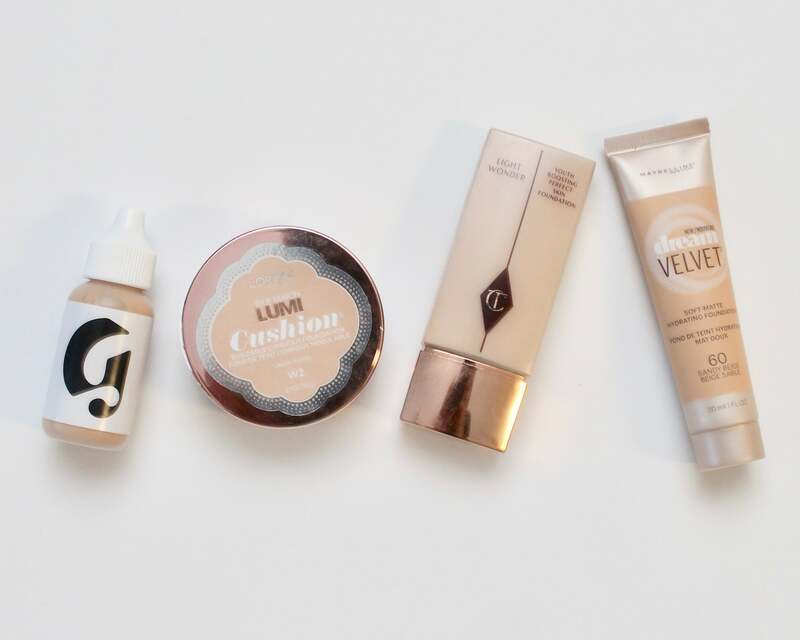 Full: Full coverage foundations are there for when you're serious about coverage. They're meant to cover everything, and I mean everything. This means that all of your face's natural colouring and shadow is going to be masked, so you'll need to go back in with blush and contour to sculpt out your natural features. Full coverage foundations are great for when it's time to amp things up for a full glam moment. A little trick I love is to use a very light layer of a full coverage base, as light as I can get it, all over my face. This will make your skin look flawless, even plasticised. Fingers: You definitely already have these, and they're free! Makeup artists will tell you that one of the best ways to apply your foundation or concealer is with your fingers because it warms the product up and allows you to really work it into your skin. Typically, the more sheer the product, the easier it will be to apply and blend with your fingers. Brush: I started with brushes and I still go back to them every once in a while. They're great for controlling coverage around your face and working the product into harder places to reach, like the inner corners of your eyes and the corners of your nose. The cons are that sometimes certain brushes can make your foundation look streaky, but they're great for when you want a lot of control or are being very detailed. 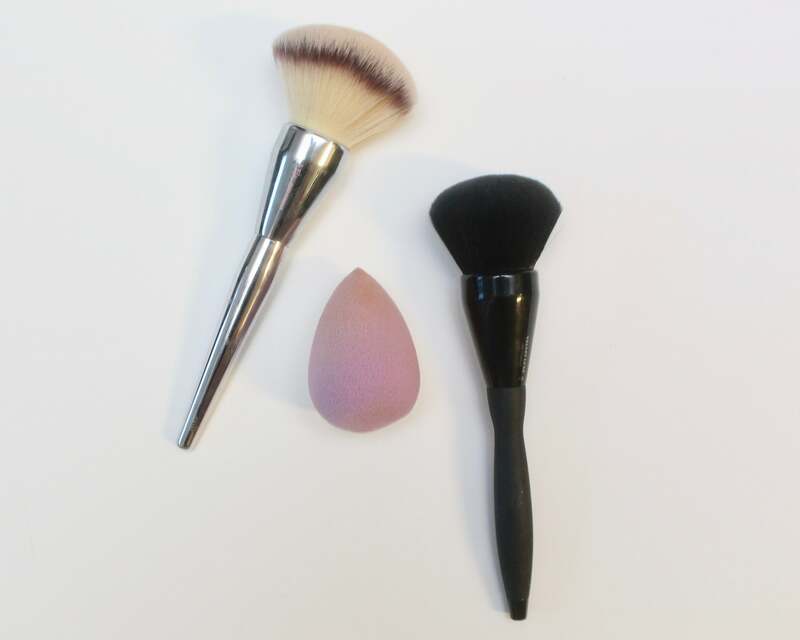 Blending Sponge: Blending sponges are great because they apply your foundation with a seamless, airbrushed looking finish. Another bonus is that you end up using less product. You wet the sponge before application, and because the sponge has already absorbed water, it won't absorb your foundation, leaving you to bounce all of the product onto your skin. As you can see, there are a lot of things to think about when you're in the market for a foundation. I know all of the choices may seem overwhelming, but think of them as options. Your perfect base is out there just waiting for you to discover it. Last tip, and maybe most important: If you're worried about spending money on a foundation you might not like, some beauty stores have return policies that make it easy for you to return a product even after you've used it, so just make sure to check the fine print before making the purchase. You're going to find the perfect foundation in no time, and when you do, tell me what it is.